The Rhode Island Association of Realtors says that the housing market is at a tipping point. Median sales prices for single family homes climbed 3.5 percent from the summer of 2017 to 2018. The number of houses sold have gone down, however, creating a more balanced market. If you’re trying to sell a fix and flip property in Rhode Island, you may be having more trouble than you thought. Let’s check out the top reasons why your flipped listing may have failed to sell. Your fix and flip is priced too high. One of the most obvious reasons why properties don’t sell is that they are priced too high. You probably put a lot of work into your fix and flip, but this doesn’t mean that prospective buyers are willing to pay for the sweat and tears. Buyers expect discounts for outdated kitchens and bathrooms, bad paint colors, old plumbing and basically anything else they have to fix before moving in. Also, avoid pricing your property too high with room to go down. The house will sit on the market, and as it drops in price, people may think there’s something wrong with it. Your photos aren’t doing your property justice. You’re not marketing the property enough. Prospective buyers are having trouble seeing the home. You may be busy working on other projects, but you need to be flexible with showing the home to interested buyers. If people can’t get in to see the property, they may quickly cross yours off the list, especially if your photos don’t blow them away. Remember that not everyone can make it to an open house on a Sunday. Consider hosting an open house on a weeknight, or at least try to coordinate with other showings in the neighborhood. Be available to answer questions about the property. Today’s buyers don’t like to wait for responses. This time of the year is always slower for home sales, but this doesn’t stop a fix and flipper from running their business! 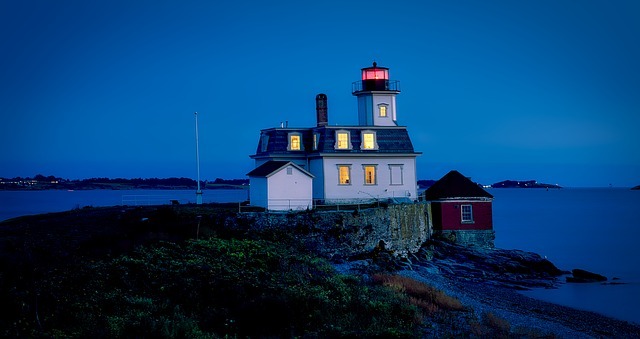 If your Rhode Island property isn’t selling, take an objective look at it and ask yourself what could be the problem. As long as it’s priced right, any property can sell.